18 schools have won their appeals after being recommended for closure and/or merging by the Blue Ribbon Commission to the Archdiocese of Philadelphia earlier this year. Each school had to present their case, along with the school they were being merged with, as to why they were wrongly targeted or the information used to make the initial decision might have been incorrect. At least four Catholic schools that appealed the Blue Ribbon Commission's closure recommendations to the Archdiocese of Philadelphia say they have won those appeals. Official word is not expected until tomorrow. Delaware County officials warned of the devastating effects of the closings of the Sunoco and ConocoPhillips refineries in Marcus Hook and Trainer on Wednesday. They cited a state analysis they requested that said that for every job lost at the refinery, 18 non-refinery jobs would either be lost, lose hours, or in some other way be affected. Fans started lining up at Citizens Bank Park early Thursday to make sure they got their hands on tickets to the games they had their eyes on, whether it be a giveaway night, the first night home game, or just one on the schedule that fits their plans. This morning at 8:30 am tickets went on sale at the box office, at phi lies.com and on the phones 215-463-1000. 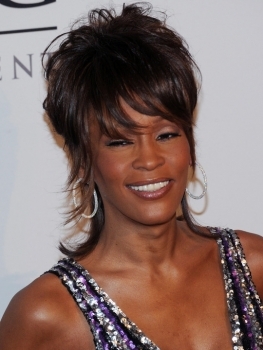 Whitney Houston, who reined as one of pop music's queens throughout the 80's and 90's until her life and career were torn apart by drug use, has died at age 48. The multi-Grammy winner was one of the world's best selling female artists, crossing over to block buster movies, and influencing many of today's stars. The Gaming Control Board of Pennsylvania has awarded the Valley Forge Casino Resort a license for table games. The casino is still under construction and is expected to open this spring. It currently had a license to operate 600 slot machines, but now can make room for 50 table games, 23 of which can be blackjack. BRYN MAWR, Pa., Feb. 3, 2012 (GLOBE NEWSWIRE) -- Bryn Mawr Bank Corporation (Nasdaq:BMTC) (the "Corporation"), parent of The Bryn Mawr Trust Company (the "Bank"), today announced that it has entered into a definitive agreement to acquire Davidson Trust Company (the "Company") from Boston Private Financial Holdings, Inc. and members of the Company's management group. The iradiophilly iPhone App is now available for download on the App Store. Listen to all 18 radio stations, get now playing info, album art, & last 10 played lists, plus access to The Post on your mobile Apple device. The app is a free download. Now you can take iradiophilly with you and listen to the radio in the car, on the train, out for a run, or just relaxing in the park. 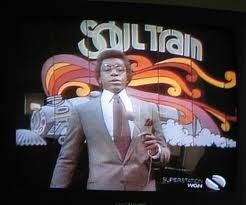 According to the Los Angeles Times, "Soul Train" creator and host Don Cornelius was found dead at his Sherman Oaks, CA home early Wednesday morning. He apparently died of a self-inflicted gun shot wound. There was no sign of foul play when authorities arrived at his home at 4 a.m., but the Los Angeles Police Department is still investigating the incident. There has been no official determination of what happened, the investigation is still ongoing. 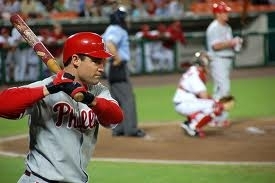 Pat Burrell, 35, is putting down the bat after a 12 year career. He was drafted No. 1 overall by the Phillies in 1998 out of the University of Miami as a third baseman, but spent the majority of his career as a left fielder. He was most notably known for his prowess at the plate. Pat the Bat finished his career just shy of 300 HR's at 292.